Microsoft has wasted no time in launching its own VR headset after the anticipation filled launch of the Sony’s PlayStation VR just a few days back. Sony’s launch of VR headset was due for a long time which helped in creating a buzz around it and Sony has carefully launched a number of game titles to with it. So far Microsoft has stayed clear of doing anything with VR as other rivals has been actively developing and launching products in this segment. Microsoft isn’t bringing a pure VR experience to the users with its VR headset rather it is bringing a ‘mixed reality’. Microsoft has also averted the use of term ‘augmented reality’ for promoting its HoloLens for popularizing its own ‘mixed reality’ concept. Microsoft HoloLens will be making its way to six new countries which includes UK and preorder are opening from today while delivered will likely to be made in late-November. Microsoft has launched HoloLens in its home country ‘US’ way back in March but it has not yet emerged as a dominant player in the VR segment. 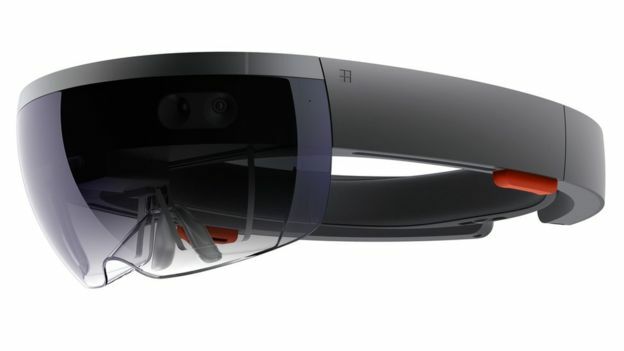 It is worth noting that Microsoft HoloLens is only available for the developers and enterprises in US for a massive price of $2,700. In order to increase the popularity and to offer greater functionality and feature on its HoloLens Microsoft has partnered with a wide range of commercial partners which includes Audi, Nasa and Lowe for application creation. Microsoft HoloLens brings vast opportunities for the users to utilize ot for variety of purposes. Users can make Skype call on the headset using the Microsoft’s Skype application especially optimized for this device. Herein users will be able to experience the true extent of the virtual reality when person face appears on the space in front of the user. A lift making company called Thyssnkrup is already making use of the HoloLens to give direct advice to engineers in field regarding the repairs and work with Skype. Simply tapping or pinching on the holographic objects can help in moving them from one position to another or users can even indulge in core painting exercises using HoloLens. During the launch event Microsoft showcased the potential of the HoloLens by bringing in a live project from the Case Western which is being utilized as teaching aid for the medical students. During this a human body appeared right in the middle of the room wherein first skeletons emerged then whole set of internal organs were made visible to the people. Users can easily walk past it or interact with the image by moving away different layers with different motion centric gestures. Headset is light weight and doesn’t cause a strain on the neck but it will take some time before you become habituated to it. Microsoft mixed reality is an unproven technology at the moment but it has shown its mettle in this short demonstration where it brought a swift mixing of the real and virtual world.